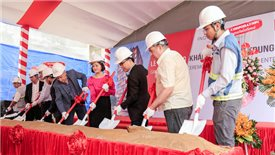 The move to industrial park construction can be considered as a new step for Coteccons in the context that domestic demand for residential real estate is gradually saturated. 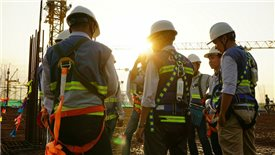 In the context of a decelerating revenue, the mergers of related companies and the shift to larger value-added businesses may be the potential drivers contributing to Coteccons’ growth in the medium term. 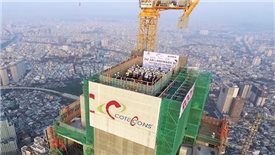 On March 9, Coteccons officially topped out Landmark 81 - Vietnam's tallest tower 45 days ahead of schedule. 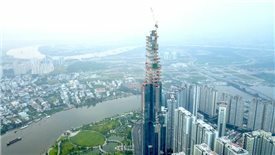 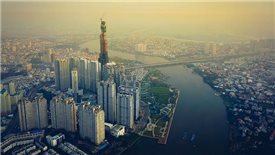 Coteccons, the main contractor of Landmark 81, has completed construction of the crown base of the tower which has a height of 400.4 meters and is an important structure to make Landmark 81 become the highest tower in Vietnam. 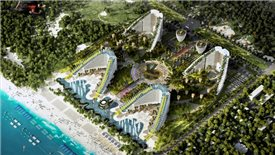 Nha Trang Bay Investment Construction Joint Stock Company will present The Arena Cam Ranh - the largest condotel complex project in Vietnam this weekend. 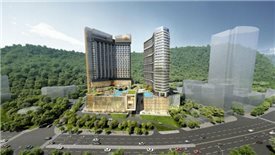 Project of Double Tree by Hilton Hạ Long Bay Hotel & Condotel which is invested by Tri Duc Hotel Joint Stock Company was commenced on December 06, 2017.